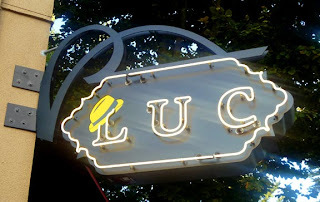 Luc is the new, more casual (and less expensive) sister restaurant to Rover's, the James Beard award wining French restaurant from Thierry Rautureau ("the Chef in the Hat"), in a klatch of fancy schmancy French cafes in Madison Valley, of which Rover's is the fanciest schmanciest. There are even James Beard references in the Luc mens' room graffiti. Luc, named after the chef's father, was largely funded by selling advance gift cards (Rautureau says he got the idea from Barack Obama). 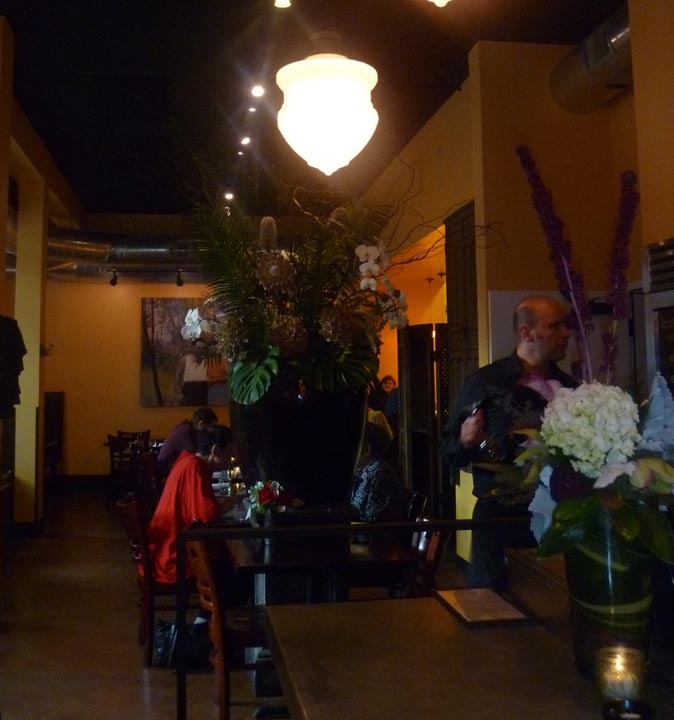 It is about evenly split between restaurant and bar portion. 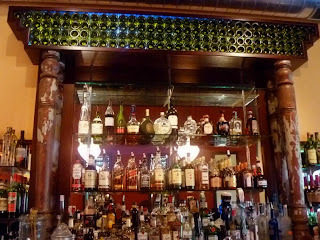 I had a nice Manhattan with Punt e Mes in lieu of the regular rosso vermouth, and a fantastic salmon BLT sandwich that I wish was not a special so I could count on having it again.